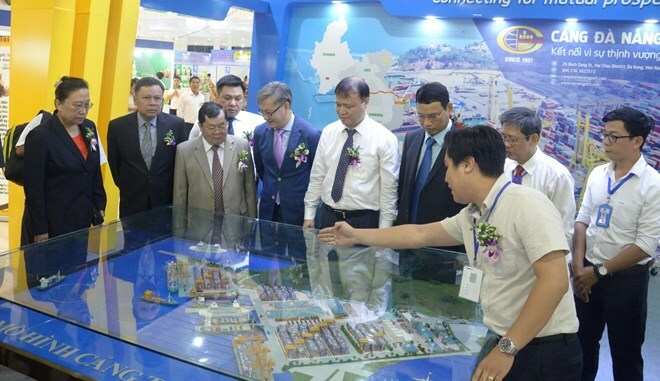 The event, which will last through August 8, features over 350 booths of nearly 200 Vietnamese and foreign businesses. It showcases various tourism, trade and investment products such as electrical, electronic and IT products, processed food, wood products, home accessories, leather footwear, apparel, pharmaceuticals and cosmetics, along with restaurant and hotel services. He expressed his belief that this year’s event, with a diversity of high-quality products, would be an effective platform for enterprises to access consumers, promote trade and seek business partnerships. It would also help step up trade, investment and tourism ties among central and Central Highlands provinces, and increase trading activities with neighbouring countries, he added. The 1,450km-long East-West Economic Corridor links the Indian Ocean and the Pacific Ocean. It begins at the Myanmar port city of Mawlamyine and ends at Da Nang Port of Vietnam. It traverses 13 provinces and cities of Myanmar, Thailand, Laos and Vietnam, which are members of the Greater Mekong Subregion./.